Senior Wesley Hough talks to the Math Club about his NSF research grant on Pattern Avoidance. Mathematics is commonly perceived simply as a quest for knowledge about numbers, shapes, and real-world processes and activities which can be described in terms of such ideas. Advanced mathematical studies however, go beyond these traditional topics to focus on the development of reasoning and conceptualizing skills and the abilities of thinking in general terms, expressing ideas clearly and precisely, and recognizing analogies between outwardly dissimilar situations. Thus, in addition to the pleasure of sharing adventures in thinking with great mathematicians of the past and present, the mathematics major can acquire intellectual skills needed for success in any profession. "The ability to truly think and problem solve is one that many graduates of college never develop a firm grasp of. 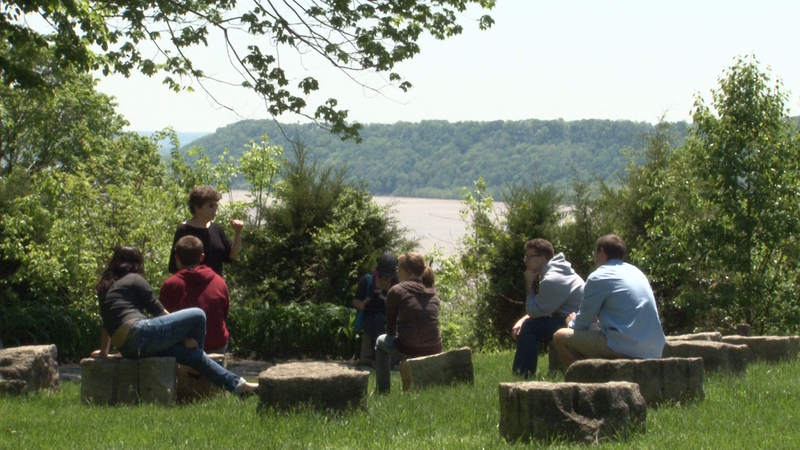 After earning my degree in math at Hanover College, I can certainly say that I am not one of those people. Not only does the math department at Hanover provide a strong foundation in the fundamentals of math, but it also develops the students' abilities to reason which is something that can be applied in every career choice. The great mathematician G. H. Hardy once said, "The mathematicians patterns, like the painter's or poet's must be beautiful; the ideas, like the colors or the words must fit together in a harmonious way. Beauty is the first test; there is no permanent place in the world for ugly mathematics." To attend such a beautiful school, it would only make sense to earn a major in a field that is just as beautiful. I thought that I knew what math was when I graduated from high school, but after starting to take math courses here, I discovered that I only understood the tip of the iceberg. Hanover provided me with an understanding of math that many of my friends who are math majors at other colleges and universities never reach. The staff of math professors here at Hanover is a big reason for this. Not only have they mastered each of their respective fields, but they are more than willing to work with and help each student whenever there is a problem. As students, we do not sit in the back listening to a boring lecture and just waiting for an attendance sheet to be passed around. With each class usually containing only 5 to 15 students, the interaction between the students, the professors, and the math itself is second to none. 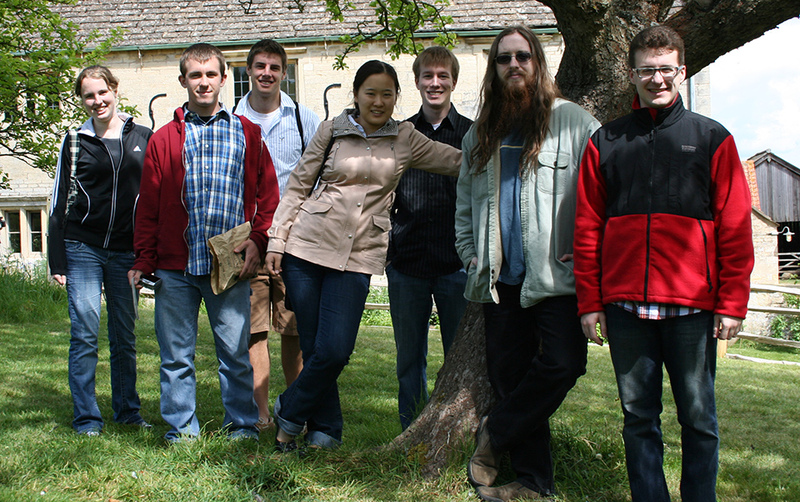 The math department also offers the unique experience to go overseas for a history of math course. I took advantage of this great opportunity as a sophomore and it was one of the best experiences of my life. We traveled all over England following the steps of Sir Isaac Newton spending time in Grantham, Cambridge, London, Greenwich, and Oxford. This was a once in a lifetime experience for me, and it will always be something that I look back on with great memories. 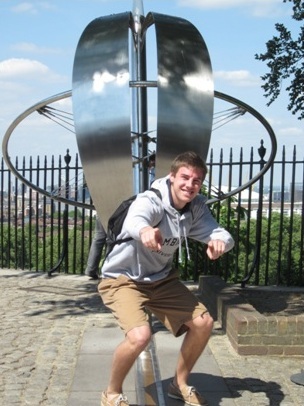 On the right is me standing in both hemispheres at once in Greenwich England!" Many of our courses involve work with computers and specialized software, such as Maple, SPSS, Geometer's Sketchpad and Groups Unlimited. Students who like math are encouraged to take as many math courses as possible since it can help them in their future careers. Our general degree requirements leave plenty of room to major in math and another discipline, such as Economics, Physics, Chemistry, Spanish, English, etc. For a minor in math, you must take 5 math courses. For a major in math, you must take the following required courses and two electives. 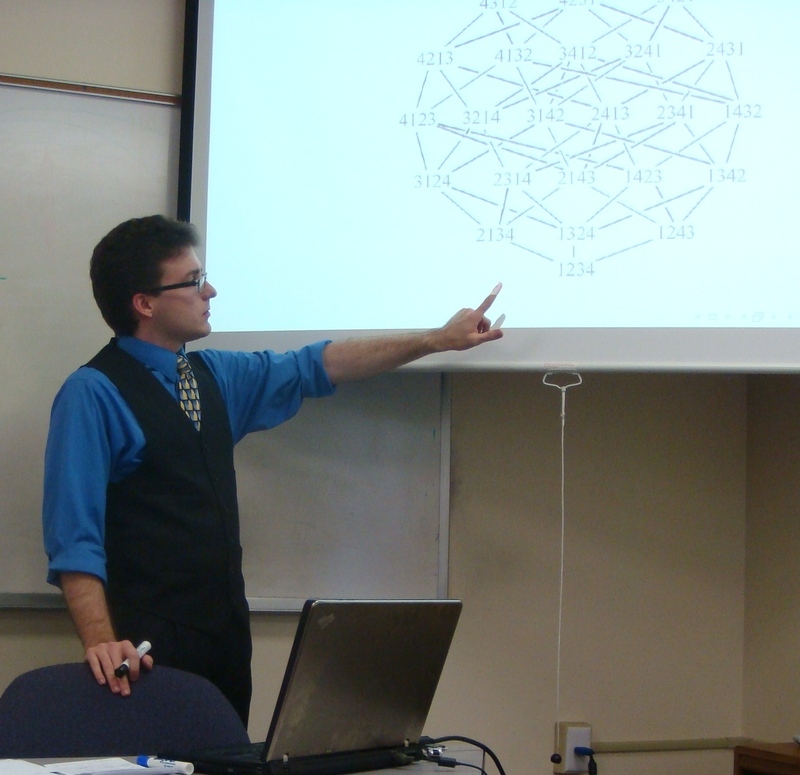 Foundations of Geometry is required for a Secondary Teaching Certificate in Mathematics.